BULAWAYO, Zimbabwe, Jan 29 2015 (IPS) - With agriculture as one of the drivers of economic growth, Zimbabwe needs to invest in the livelihoods of smallholder farmers who keep the country fed, experts say. Agriculture currently contributes nearly 20 percent to Zimbabwe’s gross domestic product (GDP), due largely to export earnings from tobacco production. More than 80,000 farmers have registered to grow the plant this season. But, even as tobacco harvests expand, food shortages continue to plague Zimbabwe, most dramatically since 2000 when agricultural production missed targets following a controversial land reform that took land from white farmers and distributed it to black Zimbabweans. Depressed production has been blamed on droughts, but poor support to farmers has also contributed to food deficits and the need to import the staple maize grain annually. WFP had planned to reach 1.8 million people out of the 2.2 million hungry people during the current period, but funding shortages meant that only 1.2 million were helped. Last year, the government stepped in with maize bought from neighbouring countries. That year, Zimbabwe topped the list of maize meal importers, with imports from South Africa at 482 metric tons between July and September 2014. Only the Democratic Republic of Congo imported more maize meal during that time. 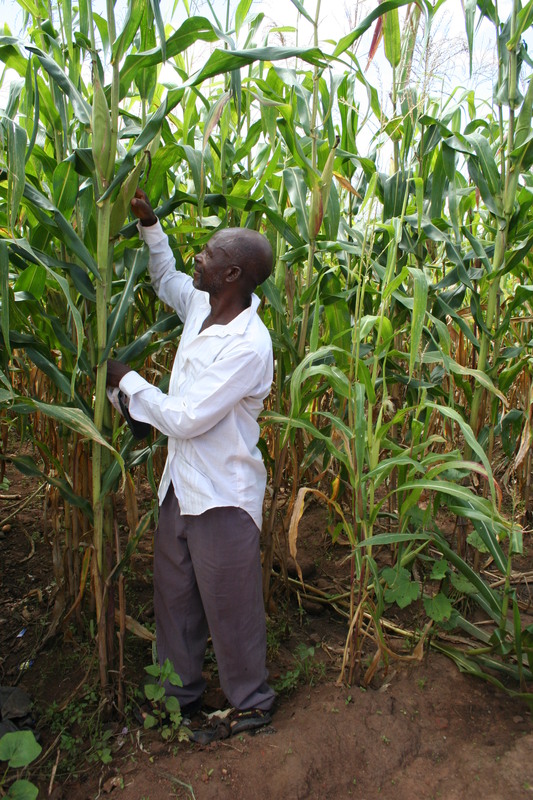 Agricultural economist Peter Gambara, who spoke with IPS, estimated that over one billion dollars is required to reach a target of two million hectares planted with maize. “It costs about 800 dollars to produce a hectare of maize, so two million hectares will require about 1.6 billion dollars,” he said. These inputs include fertilizer and maize seed. Zimbabwe Commercial Farmers’ Union president Wonder Chabikwa said he was worried that many farmers could fail to purchase inputs on the open market due to liquidity problems. Totally free inputs were ended in 2013. Linking agriculture to the reduction of poverty was one of the first Millennium Development Goals (MDGs) with a target of cutting poverty in half by 2015. In fact, all MDGs have direct or indirect linkages with agriculture. Agriculture contributes to the first MDG through agriculture-led economic growth and through improved nutrition. In low-income countries economic growth, which enables increased employment and rising wages, is the only means by which the poor will be able to satisfy their needs sustainably. The surplus was linked, explained Agriculture Minister Joseph Made, to good rainfall. 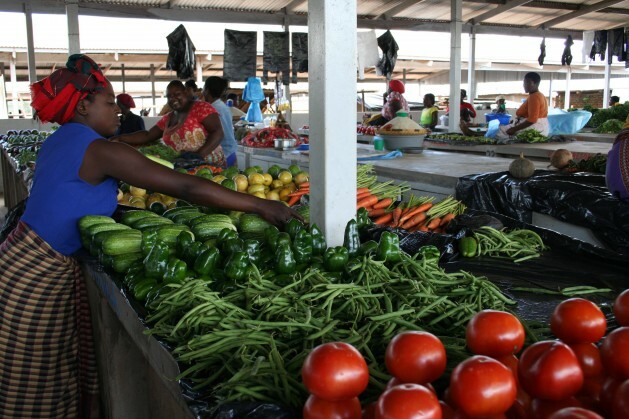 Marketing of their produce is the biggest challenge facing farmers, said Gambara, who recommended the regulation of public produce markets like Mbare Musika in Harare through the Agricultural Marketing Authority (AMA). Gambara maintains that the government should provide free inputs to the elderly, orphaned and other disadvantaged in society and consider loaning the rest of the small-scale farmers inputs that they will repay after marketing their crops. In the Maputo Declaration on Agriculture and Food Security in Africa of 2003, African heads of state and governments pledged to improve agricultural and rural development through investments. The Maputo Declaration contained several important decisions regarding agriculture, but prominent among them was the “commitment to the allocation of at least 10 percent of national budgetary resources to agriculture and rural development policy implementation within five years”. Only a few of the 54 African Union (AU) member states have made this investment in the last 10 years. These include Burkina Faso, Ghana, Guinea, Mali, Niger, Ethiopia, Malawi and Senegal. According to Gambara, as a signatory to the Maputo Declaration, Zimbabwe should have done more to channel resources to agriculture since 2000 when the country embarked on the second phase of land reform. 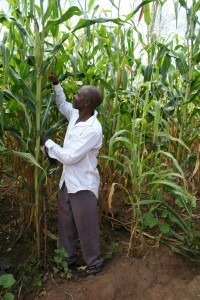 “Most of these (new) black farmers did not have the resources and knowledge to farm like the previous white farmers and such a scenario would demand that the government invests in research and extension to impart knowledge to the new farmers as well as provide schemes that empower these farmers, for example through farm mechanisation and provision of inputs,” he said. Everson Ndlovu, development researcher with the Institute of Development Studies at Zimbabwe’s National University of Science and Technology, told IPS that government should invest in dam construction, research in water harvesting technologies, livestock development, education and training, land audits and restoration of infrastructure. Ndlovu said there were signs that European and other international financial institutions were ready to assist Zimbabwe but a poor political and economic environment has kept many at a distance. Economic analyst John Robertson asked why the government should finance farmers which would be unnecessary if it had allowed land to have a market value and ordinary people to be land owners in order to use their land as bank security to finance themselves. Before the land reform, continued Robertson, Zimbabwe had nearly one million communal farmers, a number that increased by about 150,000 under Land Reform A1 and A2 allocations. ‘A1’ farms handed out about 150,000 plots of six hectares to smallholders by dividing up large white farms, while the ‘A2’ component sought to create large black commercial farms by handing over much larger areas of land to about 23,000 farmers. “Only a few farms are being run on a scale that would encompass larger hectarage and that is basically because the farmers cannot employ the labour needed if they cannot borrow money,” Robertson said.